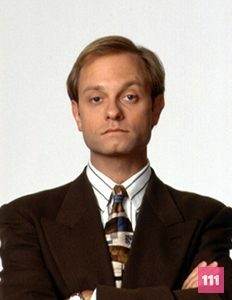 Niles Crane is the pompous brother of Frasier Crane. He is sensitive and an intelectual and after his marriage ends with Maris Crane, he becomes emotionally involved with Daphne Moon. Portrayed by David Hyde Pierce. Born in Saratoga Springs, New York. His birth date is April 3rd.